Michael Jordan is well-known for his No.23 jersey, but we know for a fact that the greatest basketball player of all time once wore a No.45 Chicago Bulls jersey. 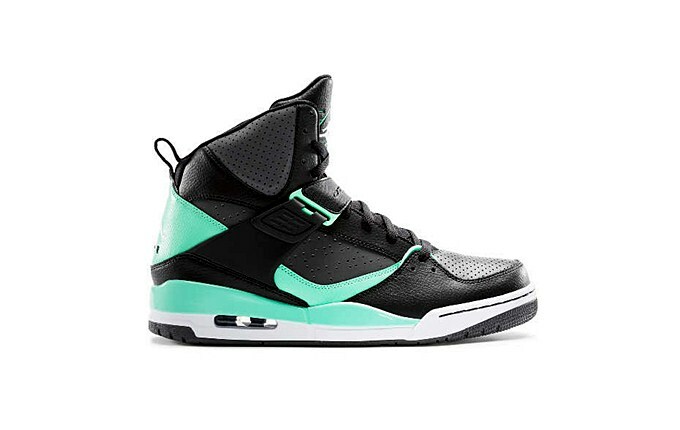 It has inspired several Jordan Brand models, which includes the Jordan Flight 45 High. This all-around shoe is now available in “Green Glow” edition, which has been the theme of the month of JB. Listed as the Black/White – Dark Grey – Green Glow colorway, this basketball-kick-looking casual shoe could be yours for just $125. Get your own pair now.